Telugu Desam Party President N Chandrababu Naidu rang up Telangana Rashtra Samiti chief K Chandrasekhar Rao, who took over as Telangana’s first Chief Minister on Monday and invited the latter to his swearing-in ceremony as Andhra Pradesh CM on June 8. Though KCR did not extend a similar courtesy to him, Chandrababu chose not be discourteous towards his erstwhile colleague, TDP sources said. “Besides congratulating KCR for taking over as Telangana CM, Chandrababu invited him to his oath-taking ceremony on June 8,” sources said. 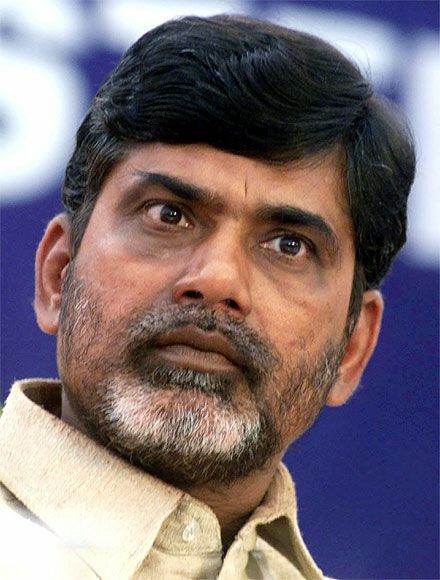 Chandrababu is scheduled to take oath at 7.27 pm on June 8 as CM of (new) residual Andhra Pradesh at Nagarjuna Nagar, between Vijayawada and Guntur. The new capital of Andhra Pradesh is also expected to come up between Vijayawada and Guntur, since it is centrally located and has good road and rail connectivity from different parts of the state. Chandrababu has already invited Prime Minister Narendra Modi personally for his swearing-in ceremony. He also wrote letters to all Union Ministers and CMs of Tamil Nadu, West Bengal, Goa, Madhya Pradesh, Chhattisgarh, Gujarat, Rajasthan, Odisha, Punjab and Nagaland inviting them for his swearing-in, TDP sources said.